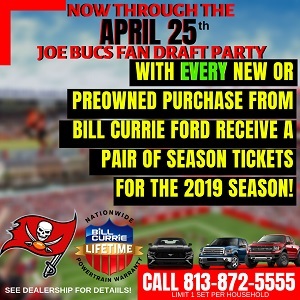 Before Joe gets going here, before the haters try to blame Vincent Jackson for forcing Bucs fans to perform the laborious if not dangerous extra click of the mouse for the “read more” option, Joe loves VJax. Thinks the world of him. He’s a warrior. Usain Bolt, VJax is not. Joe just loved how VJax hauled in a bomb from Mike Glennon down the right sideline in the first half, got behind the defense, but, again, VJax was caught just short of the goal line. Naturally, the Bucs, specifically Mike Glennon, fumbled and came up empty-handed on the play. That was critical. It also reminded Joe of how VJax was caught from behind last year against New Orleans and was downed at the Saints-1, and the Bucs never scored. VJax also looked to have the game-winner against the Jets, but was caught from behind. Damn, Joe just wishes $10.5 million, VJax’s salary, could buy an overdrive gear. Joe knows nobody is more PO’ed about this than Jackson himself. But, damn. Can’t the guy figure out how to “Deion” when he gets to the 5. Goodness. That’s THREE TIMES he’s been caught and the Bucs came away with zero points in every instance. Missed opportunities in a game where we were overmatched…..Jackson play, Glennon Fumble, Tiquan drop in end-zone…..Revis missed interception…. Both our lines didn’t show up today…. What’s worse, the fact that he makes 99% of a spectacular catch and run, or the fact that our luxurious o-line can’t push us in from 1 yard out? It is what it is, VJax has certainly lost a step. If this was during his time with the charges, thats a touchdown every time. With that being said I still wouldn’t get rid of him. He’s the best thing we have at receiver, so unless we get something better dont let him go. There’s quite a few times he doesn’t get caught from behind. Schiano’s winning percentage this year is now at 25% and he’s assured of a second consecutive losing season. We obviously need to get more former Rutgers players on this team. He’s still a good receiver but in this day and age in the NFL you need 3 or 4. We have one with a huge drop off after Jackson. We need some speed and quickness out of the slot and tight ends that can catch and get open. Either no one was open or Glennon wasn’t seeing anything downfield. Still looks like a bad offense. If the coaches can’t figure out how to get it in the from 5yd line in. This team is screwed period. MTM, they couldn’t figure out how to get it in from Detroit’s 10 yard line either? Are you surprised? Trade him while you can. This is certainly a bad offense. We cant scorepoints because out only guys who could got knocked out too early this season. No playmakers outside a fading 31 year old receiver, undrafted rutgers rookie, and a guy who didnt have a job a month ago. And boy, Donald Penn looked BAD tofay. I loved how you started off this article with the read more comment. That was hilarious I was LMAO! Like I said in my two comments on the read more column it is a pain more so for the reason that I specified on those two comments rather than having to click on read more. I’m a long time reader and hopefully once all the bugs are worked out it won’t even be an issue. Keep up the good work I enjoy the good reads. We need sure hand receivers with speed who can get open. Several times glennon had plenty of time to look for an open receiver with no one breaking to get open. I’m tired of watching VJax get caught from behind short of the goal line, or dropping passes, or just can’t get open. Draft Sammy Watkins from Clemson he would be a difference maker at receiver. This guy has the total package…great hands, speed, toughness, can run slants or go deep,runs like he’s on the track field after each catch. VJax is inconsistent n over paid. Where was Underwood today? Harry Douglas from the Falcons has stepped up n is consistent. He learned from two other consistent playmakers Roddy n Julio. Mike Williams is inconsistent also. 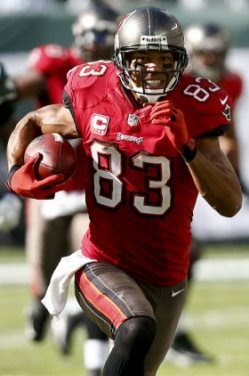 We need playmaking receivers for Glennon. Newton is a spoiled brat who brags n walk the sideline n smiles flexing his muscles when having a big lead. When he loses he’s on the sideline sitting alone like a selfish loser. I’m n favor of getting Jared Allen if he leaves the Vikings in 2014. He alone will improve our pass rush. Vincent, Please gain 20 lbs. and play tight-end next year. Bucs, please draft 2, tall, fast wide-receivers with size. And, an offensive lineman to replace Donald. Oh, by the way, cut Nicks and Rivas to open up cap space. Sign a stud, free agent defensive end. No luck in drafting them! What we saw today was a proven franchise QB, whether you like his antics, or not, and a rookie QB, who the supposed HC won’t give him the chance to show what he can do when the Bucs are losing. Many of those sacks can’t be blamed on the Oline; Glennon held the ball too long. Obviously from the way the games are broadcast you can’t see what’s going on with the WRs. How will we fans ever find out whether this kid can come from behind? Newton has had 3 years in the NFL, Glennon is on his first. Last year Newton had some people wondering if he was the Panther’s franchise or not. Honestly take that defense away from him and let’s see how he plays without the luxury of a lead. In fact Glennon’s rookie QB rating has been better than Cam’s rookie rating. Megatron got tackled inside the 5 yard line like 6 times last year alone…truth be told you have to slow down even a little to catch the ball while the guy behind you is going full speed. VJax is basically out there by himself getting double/triple covered on every play. Yet, he still is producing with a rookie QB and an offense that is not humming. Did you all ever think that he may be injured and is Still Playing?! The dude is a solid #1 WR!